Break barriers facing women and multicultural leaders in the nonprofit sector. Registration for Women's Alliance 2019 is now closed. Are you passionate about and driven to achieve community impact? Do you desire a work environment where your work goals and life goals align? Do you wish to advance in your career and gain a female support network to make it happen? Walk away with knowledge and skills to advance your career in a way that aligns with your priorities and values. Participants learn leadership approaches, governance strategies, system thinking, collaboration methods and evaluation practices from nationally recognized subject matter experts. Get an action plan with personal and organizational goals based on your unique background and career trajectory. Each woman in the program receives meaningful and applicable professional development, as well as a female support network, peer learning, networking opportunities and executive mentoring. Feel empowered and ready to advance your career goals and take on your next role with confidence. Participants gets individualized coaching during and after the program to support on implementing development plans, preparing for placement interviews, and identifying strategies for successfully reaching goals. The Women’s Alliance program weaves real-life nonprofit leadership case studies, panel discussions, hands-on experiential learning, and mentoring throughout the course. Our goal is to provide you with highly relevant, quality instruction on topics you will face as a female leader in the nonprofit sector. Each module includes a gender-based lens on key leadership principles. In addition, the role of women in the history and growth of the nonprofit sector will be discussed. Registrants will receive a syllabus prior to the start of classes. The program includes homework assignments that provide hands-on learning in addition to the in-person sessions. As the landscape of nonprofit organizations continues to evolve, it is imperative that women, specifically multicultural women, are taking on ‘C-level’ positions. This module will illuminate the power of women in nonprofit leadership, as well as provide a historical significance of women in the nonprofit sector. 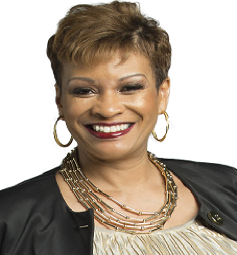 Angela A. Johnson (lead speaker) is the Managing Director of the Alliance for Greater Works. She is a business and women’s studies scholar, with expertise is in the areas of women’s leadership, nonprofit management, fundraising strategy, and business planning. She has a B.A.S. in Interdisciplinary Studies from Dallas Baptist University, an a M.B.A. and M.A. in Women’s Studies from Texas Woman’s University, and is currently a doctoral candidate in Multicultural Women and Gender Studies from Texas Woman’s University. Clara Hinojosa has organized hundreds of cultural, humanitarian, educational events both in the United States and abroad. She has served on numerous boards and committees, including The Dallas Institute of Humanities and Culture, The Sammons Center for the Arts, The Meadows School of the Arts, The Dallas Museum of Art, the USA Film Festival, Chiapas International and others. Hind Jarrah, PhD is the Executive Director, co-founder (2005) and former President (2005-2009) of Texas Muslim Women's Foundation TMWF, a non-profit, educational, philanthropic, outreach and social service organization dedicated to empowering women and their families. Tegwin Pulley is a woman on a mission to create environments where inspiration, opportunity, and achievement are available for all. She retired from Texas Instruments where she was Vice President with a strong leadership track record. 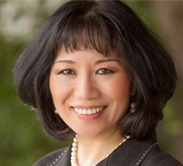 She is a past chair of the TexasEngineering and Technical Consortium, Leadership Texas, the DFW Regional Workforce Leadership Council, and the Texas Business and Education Coalition. Purpose-driven leadership is the key to exceptional performance. It is the direct alignment between professional goals and personal values. A leader’s ability to effectively adapt is critically important to an organization’s success. In this module, you’ll have the opportunity to explore the heart of the nonprofit and its reason for existence, as well as how to effectively lead change in their communities. 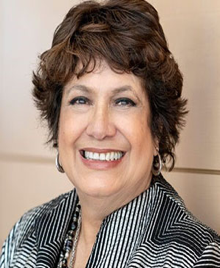 Susan M. Wolfe (lead speaker) is a Community and Developmental Psychologist with over 30 years of experience as an evaluator, researcher, and community consultant. Her expertise includes change facilitation; coalition development and evaluation; strategic planning and organizational development; and community engagement. Dr. Wolfe has presented at conferences throughout the world and published articles, chapters and books. She is a certified Change Intelligence Facilitator. 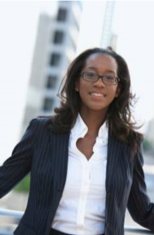 Dr. Toyah Miller is known for her experience in strategy and entrepreneurship, having previously served as assistant professor of strategy and entrepreneurship at Indiana University Kelley School of Business. Her research interests include innovation and change, international contexts of business, entrepreneurship and corporate governance. 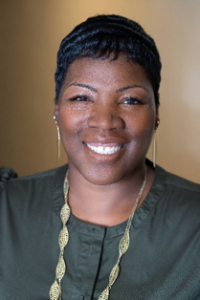 Dr. Lawana Gladney has a doctorate in Instructional Psychology and Technology and has spent almost two decades researching, writing, and creating behavior changing programs and products. She has worked with many of the nation’s fortune 500 hundred companies and organizations. Organizational stakeholders play a critical role in the advancement of the organization. As a leader your ability to relate and work effectively in culturally diverse environments is paramount. 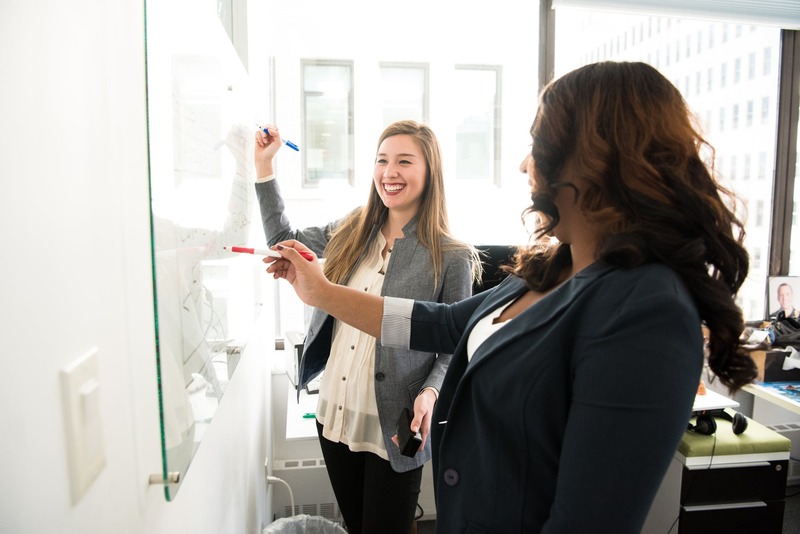 In this module, we will examine the challenges that women leaders encounter when building and leading teams to achieve organizational effectiveness. You’ll also assess and analyze your own leadership strengths and styles. Most people want to be successful in the workplace yet many people experience difficulty navigating the dominant workplace culture and systems. Offering such employees opportunities to steer the work environment successfully benefits both employer and employee. Offering training, group coaching, and peer support programs can transform potential into performance thereby increasing job satisfaction and productivity. 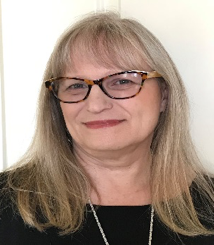 Grace offers over 25 years of experience working for fortune organizations and small companies in client facing roles in the areas of learning and development, client relationship management and sales. Business experiences include a variety of industry sectors such as technology, education and regulated food service management. Her roles include more than 15 years of experience in learning and development providing facilitation, training and coaching in the areas of diversity and inclusion, leadership development and personal mastery. Being a proponent of meeting people where they are, Grace is known for creating sacred learning spaces where participants are supported and challenged to maximize their learning experience. When people experience environments of trust and safety they become capable of choosing if, how and or when they will see things differently enough to change their actions and responses based on new knowledge and increased understanding. 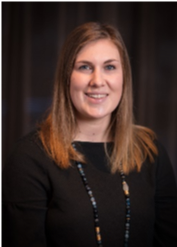 Committed to her community, Grace has volunteered with a wide range of local community organizations and projects purposed to cultivate change and improve lives. Elizabeth Moffitt, President of The Christopher Quinn Group, Inc., a well-respected Human Resource consulting, talent acquisition, coaching and training firm, has been working in the Human Resource field for 20-years. 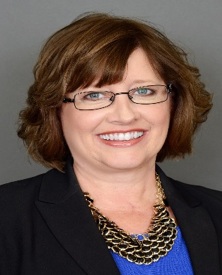 Using her skills as a Certified Professional Coach and Mediator, Mrs. Moffitt helps organizations connect with their staff, through executive coaching, in order to utilize these valuable resources to their fullest potential. Mrs. Moffitt holds a Bachelor’s of Science in Human Relations & Business, a Master’s of Science in Human Resources and Training from Amberton University and a Certification in Alternative Dispute Resolution from University of Texas at Arlington. 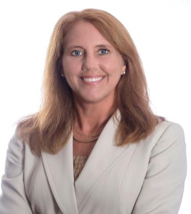 Kellie Teal-Guess is CyrusOne’s Chief People Officer who brings over 30 years of industry experience working in high tech, fast growing, companies and has a strong background in HR, M&A Integration, Talent Management, Organizational Design, Change Management and HR automation. Poverty is a complex social construct that affects communities across the globe. Addressing poverty without understanding the root of the problem is inefficient and only magnifies the issues at hand. As a female leader it is imperative to view and address poverty by systematically identifying, analyzing, and working collaboratively toward real and solid solutions. In this module, you’ll learn to better understand poverty and its root causes and how it intersects with the vision of the nonprofit sector, regardless of the organization you serve. Dr. Constance Lacy (lead speaker) is Dean of the School of Human Services at University of North Texas – Dallas and has been instrumental in building relationships with the community and area leaders, and launching Community Engagement Day, which seeks to bring together non-profit and community leaders throughout the Dallas-Fort Worth Metroplex in an effort to better serve the region through partnerships and shared resources. 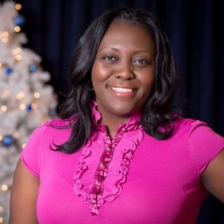 Dr. Janiece Upshaw is an Assistant Professor and serves as Program Coordinator for the Graduate School of Public Leadership at the University of North Texas Dallas, and serves as affiliate faculty with UNT Dallas’ Urban SERCH Institute. In addition, she supervises graduate students’ research in the community. 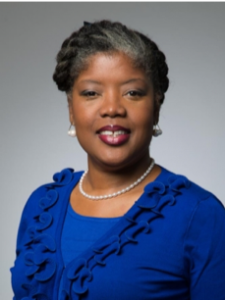 Before joining UNT Dallas, Dr. Upshaw held top-level administrative positions for nonprofit organizations and worked in Dallas ISD and Richardson ISD. 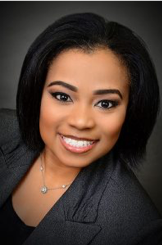 Dr. Upshaw received her Master of Science in Social Work from the University of Texas at Arlington and her doctoral degree in Public Affairs from The University of Texas Dallas. 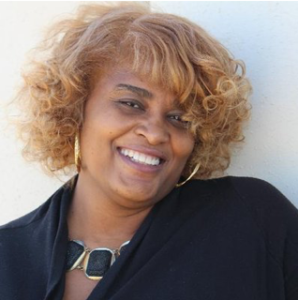 Kimberly Williams has over 20 years of experience as a nonprofit executive and leader. With a passion for organizations that empower the poor, she specializes in creating innovative outcomes-based programming that transforms lives and breaks the cycle of poverty. Previous positions include Executive Director of Wheatland Community Learning Center and Director of Community Outreach for Girl Scouts of Northeast Texas. In 2011, Kimberly was named CEO of Interfaith Family Services. Under her leadership the formerly homeless graduates of Interfaith now earn more, save more, and remain self-sufficient longer than those of any other transitional housing provider in Dallas. 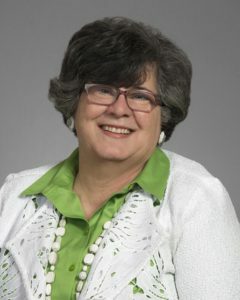 Roslyn Dawson Thompson was appointed president and CEO of Texas Women’s Foundation (formerly Dallas Women’s Foundation) in 2011, after supporting the organization since its inception as a volunteer and donor. Under Roslyn’s leadership, the Foundation has become one of the world’s largest women’s funds. During Roslyn’s tenure, the Foundation has pursued ambitious strategic initiatives advocating for and advancing social and economic change to Transform Texas for Women and Girls. Since 2013, the organization has increased its assets by 25 percent to $35 million, and its grantmaking by 84 percent. The Foundation raises approximately $8 million annually. Funds support statewide research – providing decision-makers and lawmakers critical data to inform policies and programs affecting Texas women and girls – and also sustain the Foundation’s $5 million in annual grants, mission-focused asset investments, and programs to help Texas women and girls thrive. Roslyn serves on the boards of Tides Network, an international nonprofit accelerator, and the Women’s Funding Network, the global association of women’s funds. 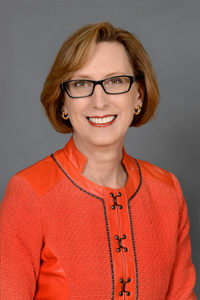 She is on the executive committees of Prosperity Together and the National Philanthropic Collaborative of Young Women’s Initiatives – two women’s foundation collaborations; the boards of the Dallas Regional Chamber, the International Women’s Forum (Dallas chapter) and the Circle 10 Council of Boy Scouts and its Foundation board; and is a member of the Dallas Mavericks Advisory Council. 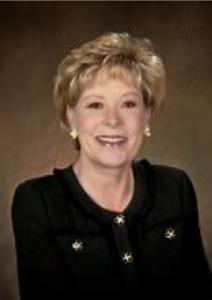 Roslyn has earned many honors, including the Texas Governor’s Commission for Women “Texas Women Economic Empowerment Award,” the Dallas Regional Chamber “ATHENA Award,” and the United Nations Association - USA, Dallas Chapter “Global Goals, Local Leader Award.” She has a bachelor’s degree from Baylor University and master’s degree from Vanderbilt University. In order to succeed in today’s competitive marketplace it is imperative that women executives maintain sound financial acumen. In this module, you’ll develop an in depth understanding of how to apply the fundamentals of finance to improve budget management, build financial solvency, increase potential profits, and assess the financial viability of projects. 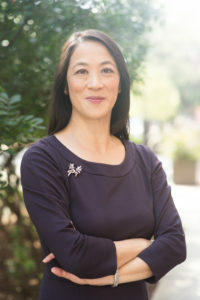 Cynthia Yung (lead speaker) is the executive director of The Boone Family Foundation and oversees a $5 million annual budget that supports organizations focused on advancing equity for women and girls, improving quality of life for children and promoting environmental stewardship. Effie Dennison is Senior Vice President and Director, Community Development & Corporate Social Responsibility at Texas Capital Bank. 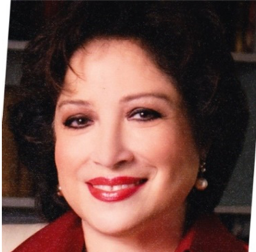 She also serves as President of Texas Capital Community Development Corporation, a wholly-owned subsidiary of the bank that provides loans and equity investments for commercial and mixed-use developments including multi-family housing, retail and developments that revitalize or provide services for the benefit of low- and moderate- income areas. 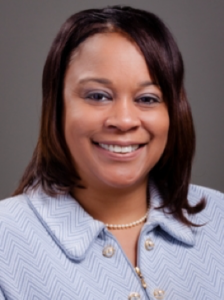 Shari Hicks is Vice President, Business and Community Development for Amegy Bank. She has more than 15 years of experience enhancing an organization’s reputation and image while positively driving key business opportunities through strategic public and private partnerships, public relations and media relations strategies and key business development opportunities. 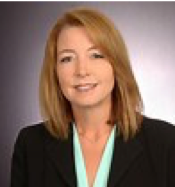 Lucy Selby is a certified financial planner and executive manager with more than 20 years of experience working for several startup companies and numerous industry leaders. She has expertise in estate planning, tax-efficient investment strategies, retirement planning, portfolio management, risk management, benefits planning, charitable giving and asset protection. Often times we use and hear the terms charity and philanthropy interchangeably, but they fact different. In this module, we will examine the history, context, and future of philanthropy and fundraising from a multicultural and gendered perspective. You’ll gain hands-on experience in strategic development process as it relates to understanding philanthropy for social impact. 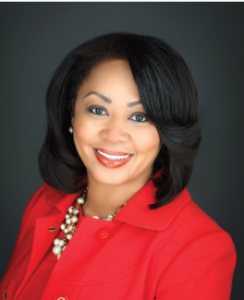 Dr. Monica G. Williams (lead speaker) serves as UNT Dallas’ Vice President for Advancement. She is also President of the UNT Dallas Foundation where she oversees fundraising, marketing and communications, external relations, sponsored research and special events. 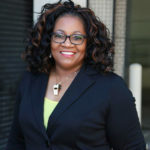 Dr. Froswa' Booker-Drew is Director of Community Affairs for the State Fair of Texas and co-Founder of HERitage Giving Circle and calls herself a “relational leadership junkie.” She has an extensive background in leadership, nonprofit management, partnership development, training and education. She has a PhD from Antioch University in Leadership and Change with a focus on social capital and relational leadership. Helen Holman is the Chief Philanthropy Officer at The Dallas Foundation. In this role she is able to follow her passion every day, which is serving the community by connecting needs, solutions and resources. Nonprofits can play a critical role in impacting legislation on the community, state and national levels through advocacy. Advocacy builds support for public policies and programs, and serves to increase funding in key and targeted areas. By the end of this session, you’ll gain a greater understanding of the dynamics of our global political environment and develop strategies to position you to engage in advocacy for social change. 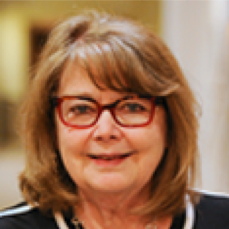 Diane Seay McNulty, PhD (lead speaker) is associate dean for External Affairs and Corporate Development in the Naveen Jindal School of Management at The University of Texas at Dallas. In addition to her administrative role, Dr. McNulty teaches undergraduate, graduate and executive education courses in corporate governance and ethics. Her research centers on leadership from a governance perspective. 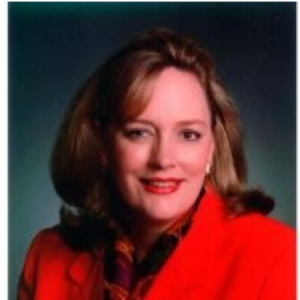 Holly Reed is Managing Director, External Affairs, for Texas Central. As a native Texan, she is passionate about bringing the train to her home state and sharing its benefits – transforming how people think about travel, putting people to work and saving lives. Her background includes leadership roles in Customer Service, Strategic Planning, IT, Sales, Marketing and Communications with AT&T. With a passion for her community, Holly has served on a variety of nonprofit boards. 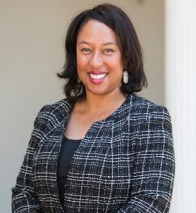 Marguerite “Margo” McClinton Stoglin is the Texas State Director for IGNITE National, a nonprofit, nonpartisan organization that trains the next generation of young female political leaders. She earned a BA from Emory University, Master’s in Education from Harvard, Ph.D. from Florida State, and MBA from the University of Texas at Dallas. Alliances can improve organizational sustainability as well as better address complex social issues that impact multiple systems. In this module, you’ll examine the power of collaborations and strategic partnerships, the do’s, don’ts, and what if’s of collaborations; as well as how to determine if collaborating with another entity achieves your organizational mission. 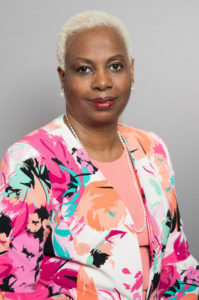 Sherrye Willis (lead speaker) is the founder and president of Alliance for Greater Works and has more than 30 years of nonprofit expertise, with careers on all sides of philanthropy. 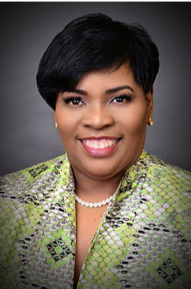 She has consulted for thousands of leaders and organizations locally, nationally, and internationally including Dr. Tony Evans’ National Church Adopt-a-School Initiative, Center for Philanthropy Bermuda, Communities Foundation of Texas, Concord Church, Children’s Health Systems, Esping Family Foundation, Hogg Foundation for Mental Health and many more. Erin Mcclarty is a writer, business owner, creative and attorney by trade, I help clients all over the nation use their superpowers to create the worlds they want to live in. She works with people to structures, documents, operations, and business models that reflect themselves, their values, dreams, purpose and mission. 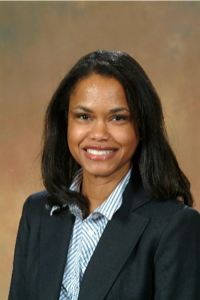 Erica Hall serves as Akola Academy's Executive Director. She has a background in women's economic empowerment, monitoring and evaluation, community organizing and social enterprise innovation, with a particular emphasis in participatory community development. Niki Nicastro McCuistion is a business performance strategist, executive advisor, consultant and speaker. She authored several business books on culture change, coaching and leadership and is an award-winning TV executive producer and filmmaker. Her specialties are leadership and corporate culture change, as well as nonprofit and board leadership and governance. Talent placement services are available to graduates for an additional cost. Participants may be eligible to apply for a limited number of merit-based scholarships, which cover partial cost of tuition. You must register and submit the application fee to be considered. After registering, please contact Angela Johnson for more information. Registrants will be asked to fill out a short questionnaire with their registration. This is a non-degree course that leads to the Nonprofit Executive Leadership Certificate. 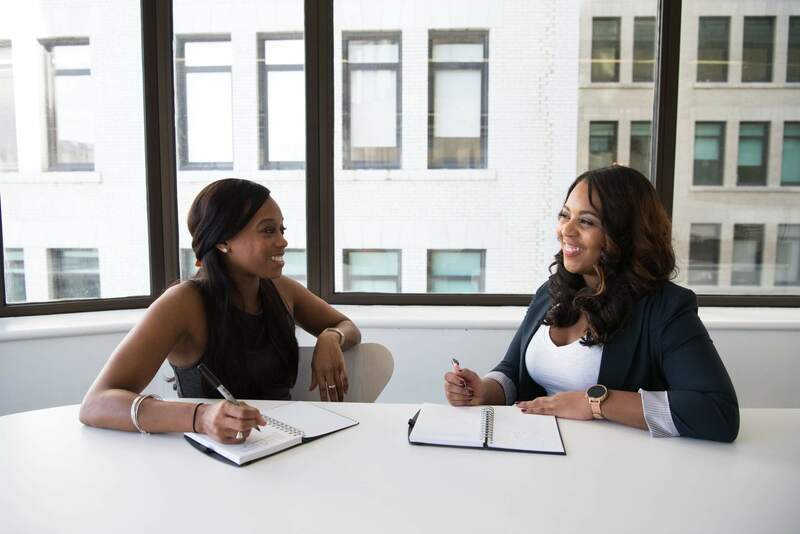 Women’s Alliance is designed for female leaders with 0-5 years’ experience in the nonprofit sector, especially those seeking executive roles or transitioning into from the corporate sector. Women of all levels and experience are welcome to apply. (Previously Women Leading Greater Good Forum).